Ralph Waldo Emerson once said “many times the reading of a book has made the future of a man”, and it’s true. I would have never gotten this far in life if I hadn’t read a handful of extremely valuable personal finance and investing books before I entered the workforce. It was thanks to what I’ve learned that I was able to consistently reduce my expenses, save a part of my income, and invest it in excellent and well-chosen assets. By doing that during the first six years I’ve been in the workforce, I was able to leave my old job and spend my time and effort on the things that I personally value. It was thanks to those books that I was able to create a bigger mission in life above and beyond “earn, spend, and survive until old age.” That mission was to teach people things that can help them become more successful. It was because of that mission that I created this blog, YourWealthyMind.com. 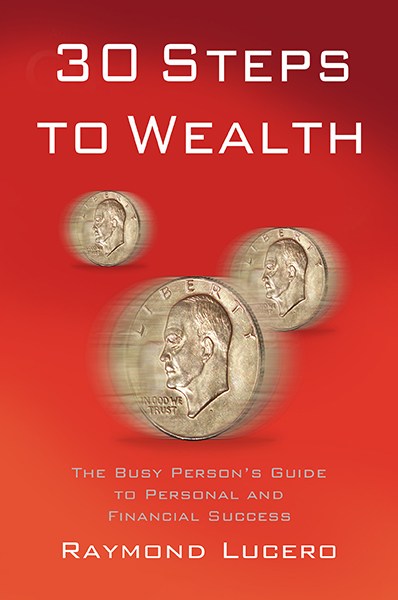 My previous project before that, however, was a book called 30 Steps to Wealth. The starting point of success (nothing in your life will change unless you learn this). How to give direction to your life (you’ll waste time and energy unless you learn to focus). The source of your actions and habits… and your destiny. The one financial habit you NEED to learn. 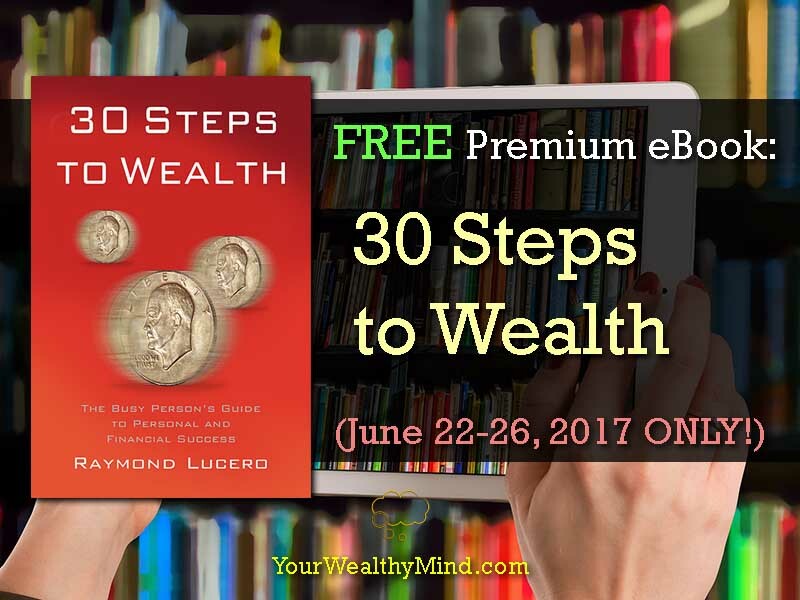 How to build wealth correctly… and how to avoid the common pitfalls that bring losses and poverty. The book normally costs $4.95, but you can get it FREE this June 22-26, 2017! Just click on the image link below, login to your Amazon account and click on the “buy” button. It won’t cost you anything during the promo period, and you’ll receive a book that contains lessons that can and should help you become more successful in life! Once you obtain a copy, it’s linked to your account and you can read it on read.amazon.com or on your mobile device using the Amazon Kindle App! You better hurry as the promo won’t last long (it’s only 5 days), so make sure to grab your copy NOW! !